One building was destroyed by fire. The town of Avdiyivka, Donetsk Region was shelled by pro-Russian militants last night. 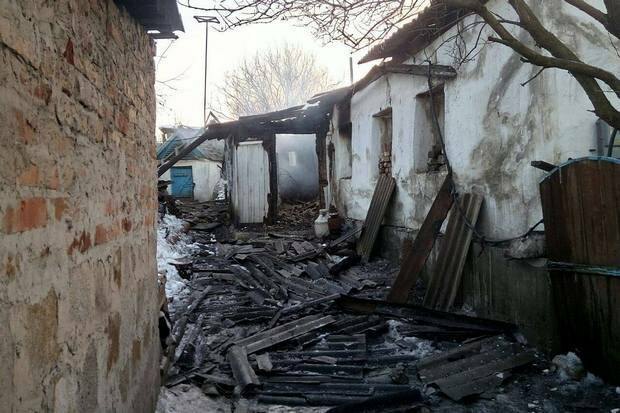 The regional police said on 16 February that eight houses in the neighbourhood right outside the industrial area, including the streets Levanevskyy, Soborna, Lermontov, were heavily damaged by enemy shelling. One house burnt to ashes after a direct hit by an enemy missile.